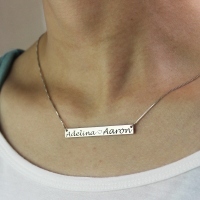 Couple Bar Necklace Engraved Name Sterling Silver - Stamped your name on this special Personalized Bar Necklace to memory your love story! 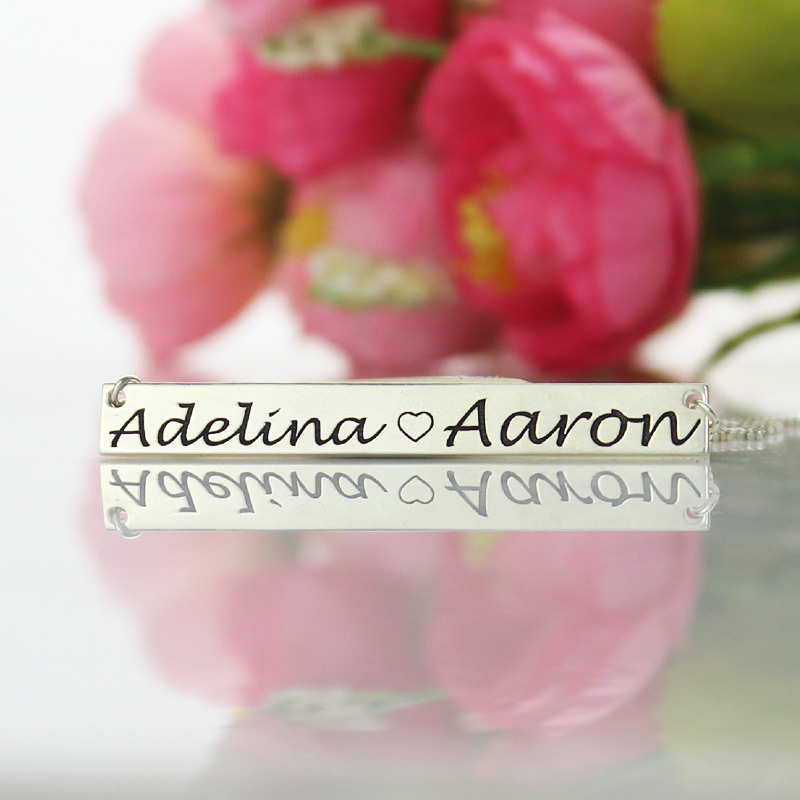 Great way to show everyone your sweet love. 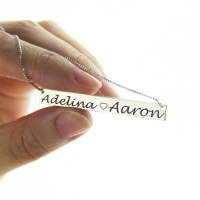 Couples necklaces are a charming way to tell the world about the one you love. 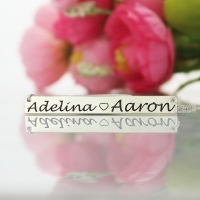 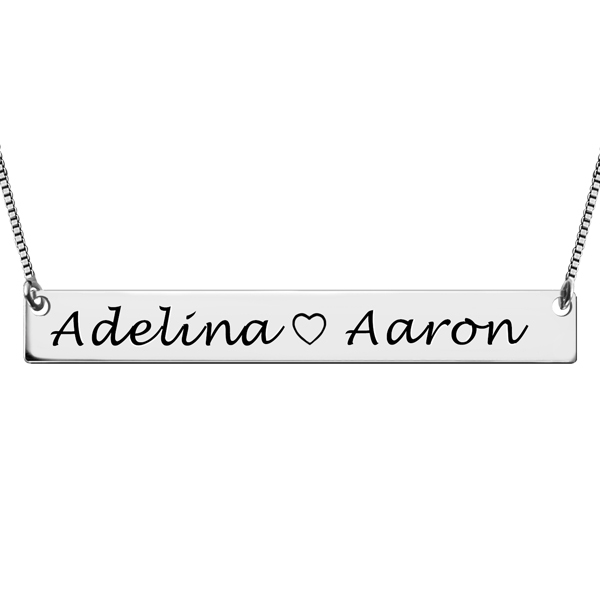 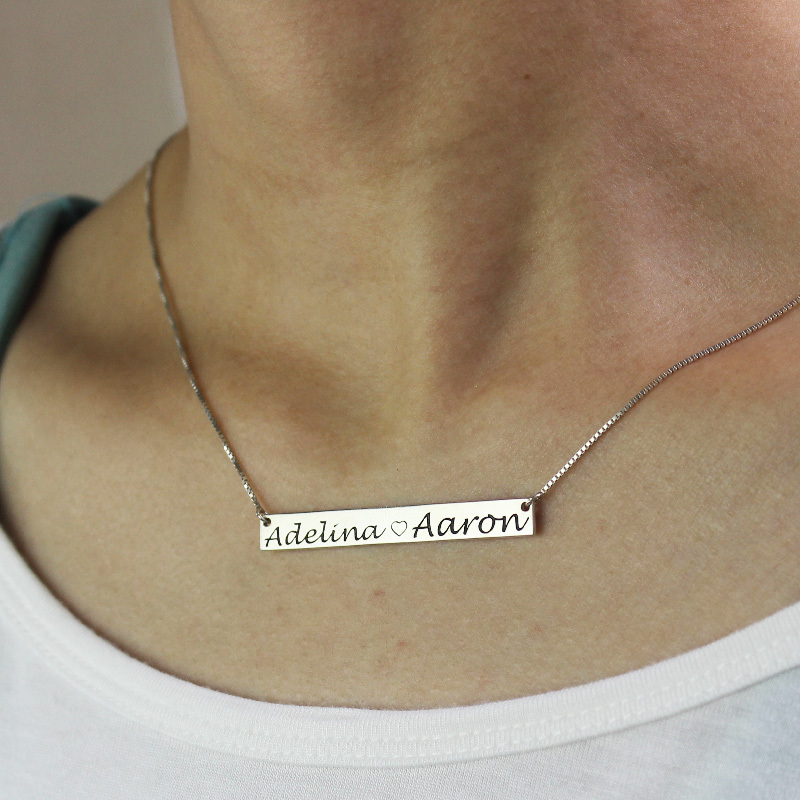 You can engraved two name on this bar pendant necklace, so it is also a perfect gifts to friends too!